Hello and welcome to my food, health and lifestyle blog PocketsizedCook, formerly known as CrystalCosmicChic. What started out purely as a fashion blog back in 2013 has now blossomed into so much more. 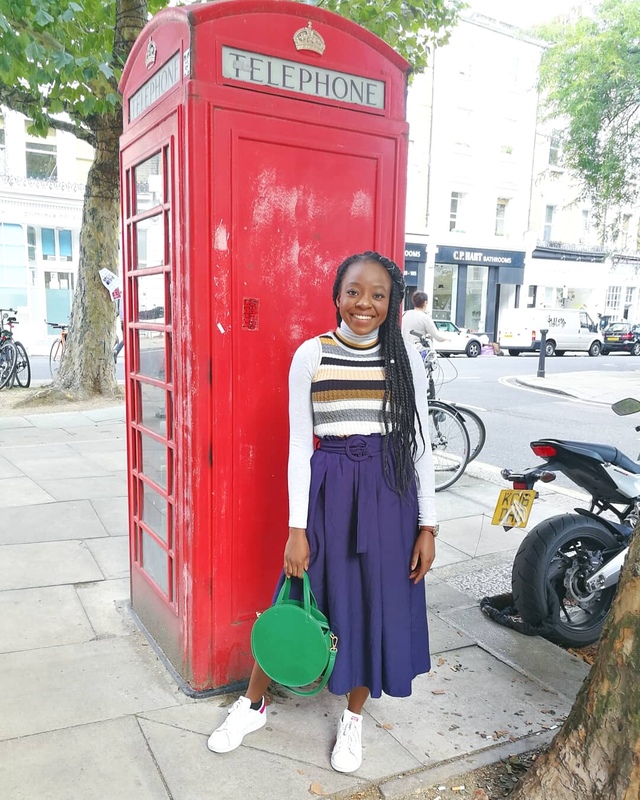 I'm Nokhuthula, a 20 something overindulgent food lover, Human Nutrition and Dietetics student, health enthusiast and excessive homecook/baker living in beautiful Wales, UK. I am passionate about good food, nutrition and have a special interest in Gastroenterology. You will find me sipping on a cup of tea with my head buried in books like The Small Change Diet, No Whine With Dinner, The Diet Delusion,Fast Food Nation and Eat Your Way To Happiness. I found myself wanting to delve more and more into food Chemistry which is what led me to studying Dietetics. Apart from being a self-confessed foodie; I'm also a Sociology and Criminology Graduate, Dental Nurse and Visual Merchandiser. Just an ordinary girl finding her place in a big world. This blog has become a place I share my passions, the puzzles life presents, my hopes and dreams. Writing is therapeutic for me, it helps to change my outlook, improve my mood and regulate emotions. In May 2016, I was diagnosed with Irritable Bowel Syndrome and I am successfully managing it through diet and exercise. Bad days are inevitable but keeping positive is key. IBS is a subject that's rarely ever talked about, it is an embarrassment to the masses but it is a real problem that needs to be addressed accordingly. I am doing my bit in helping to raise awareness of this widespread disorder, we bloaters deserve a lot more recognition. - I was born in Zimbabwe. - I love old music, I'm an old soul(80s/90S). - I love food and I love Science. Put them together, Dietetics was inevitable. - I've recently got into hiking, enjoying it so far. - Crime documentaries, horrors and romcoms are my guilty pleasures. - I've been playing Tennis and the Keyboard since the age of 6. - My idea of a great Friday night consists of good food and a good movie. - I love learning random facts which is why I'm always reading.